Welcome back to another week of Mom's Library. Each Tuesday I join up with other bloggers to host a link up for resources for moms. This is a great place to find activities for kids, crafts for kids, devotionals, recipes, and more. Each week we have an opportunity for you to link up your ideas and have a chance to be featured the next week. We also have a giveaway each week. I'm super excited about this week's giveaway as it is a product from my teachers pay teachers store. Scroll down to the bottom of the post to find the giveaway. 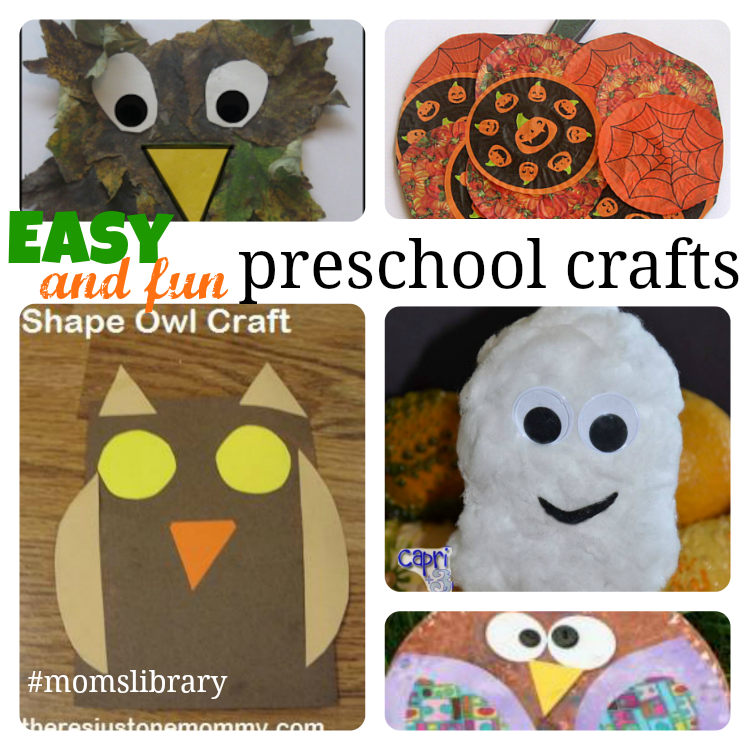 Last week I was inspired by all of the amazingly easy preschool crafts. My preschooler wants to make "something" every day. I love that he is artistic, but my brain can become taxed with thinking up crafts for him. I'm so excited to try out these fun easy preschool crafts shared by my mom's library friends. Be sure to subscribe and follow Mom's library on pinterest to keep up with all of our updates and features. I will share these early reader books with my little kiddos!! !